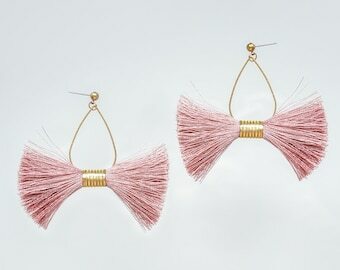 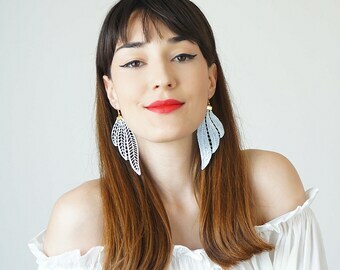 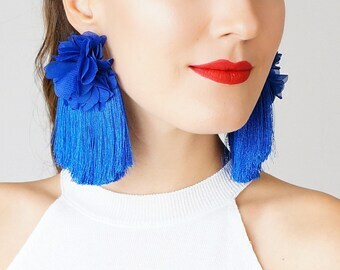 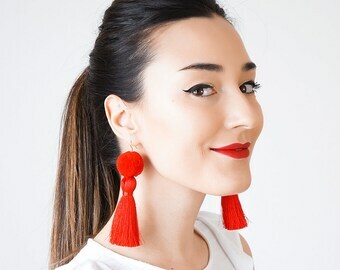 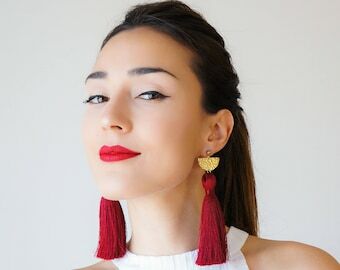 These fan tassel earrings are fit for a queen. 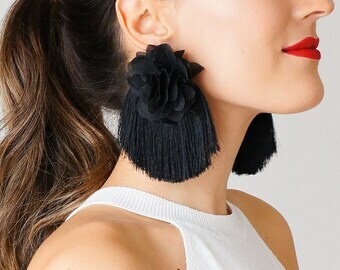 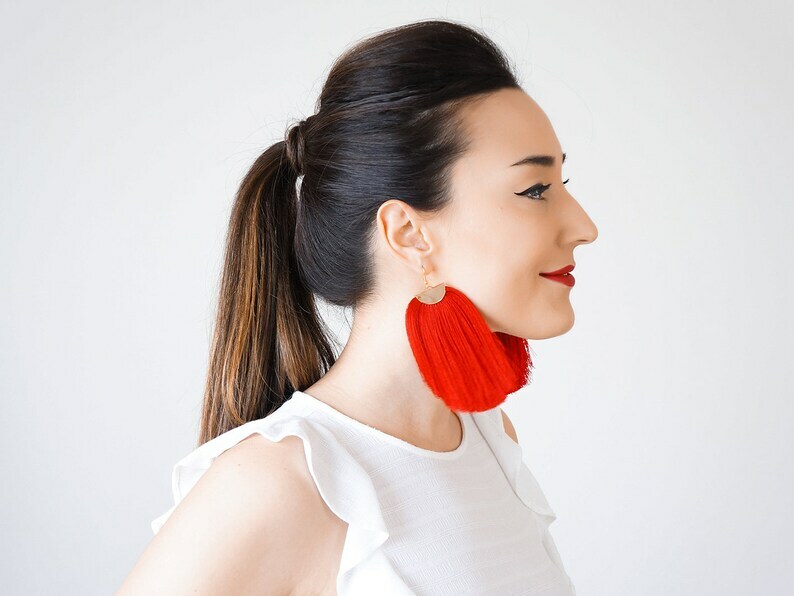 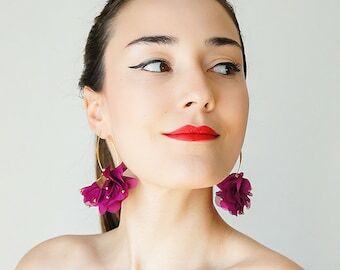 A bold and chic drop style oversized statement earring. 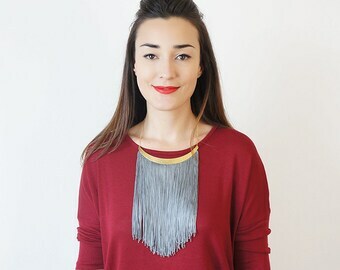 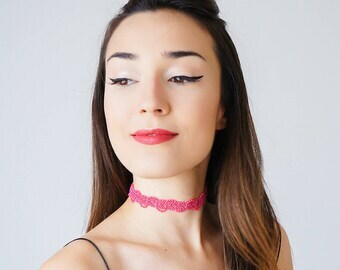 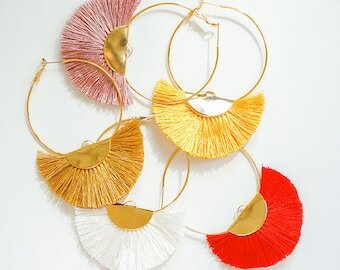 Made with gold plated brass and high quality tassels.